It’s taken a couple of years – and a constant barrage of questions. Yet Jordan Spieth has now admitted that famous moment when he dunked two balls in the water at the famous Rae’s Creek and lost the 2016 US Masters has, indeed haunted him. Sure, he learned a lot too, from that unexpected collapse that cost him a major championship. And the questions, well, they have kept coming. 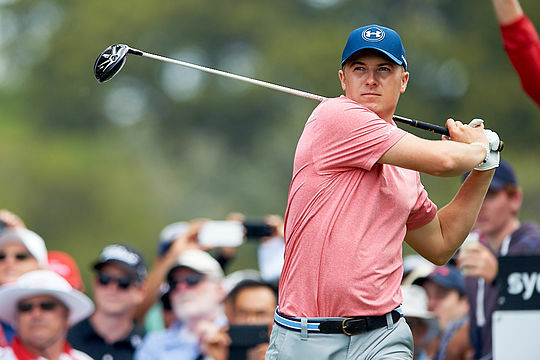 Quizzed about it before last weekend’s Fort Worth Invitational (won by Justin Rose), Spieth continues to show good grace and handle the continuous questions that are thrown at him about that day. Spieth admitted that incident on the 12th hole where he put successive balls into the creek was the “low point in my golf career”. “Even though it was still a tremendous week and still was a really good year in 2016, that kind of haunted me and all the questioning and everything,” said Spieth. The humble Spieth even went a step further and admitted the following that Masters defeat he actually even loathed going to the golf course for a while. Still the American star said he learned a valuable lesson from that horrible experience, namely that he can’t allow his past play, good or bad, to affect his current state of mind on the course. “I’ve just tried to really be selfish in the way that I think and focus on being as happy as I possibly can playing the game I love; not getting caught up in noise, good or bad,” he told a press conference before the Fort Worth event.